ATHENS—Behind the budget crisis roiling Greece lies a riddle: Why does the state spend so lavishly but collect taxes so poorly? Many Greeks say the answer needs only two words: fakelaki and rousfeti. Fakelaki is the Greek for "little envelopes," the bribes that affect everyone from hospital patients to fishmongers. Rousfeti means expensive political favors, which pervade everything from hiring teachers to property deals with Greek Orthodox monks. Together, these traditions of corruption and cronyism have produced a state that is both bloated and malnourished, and a crisis of confidence that is shaking all of Europe. A study to be published in coming weeks by the Washington-based Brookings Institution finds that bribery, patronage and other public corruption are major contributors to the country's ballooning debt, depriving the Greek state each year of the equivalent of at least 8% of its gross domestic product, or more than €20 billion (about $27 billion). "Our basic problem is systemic corruption," Greece's Prime Minister George Papandreou said after he took office late last year, vowing to change a mentality that views the republic as a resource to plunder. He later berated the chief of public prosecutions, saying Greeks believe "there is impunity in this country." The chief prosecutor said that wasn't so. Greece moved closer to a bailout Thursday, requesting aid talks with the International Monetary Fund and the European Union. Many investors and economists say aid would buy Greece time, but wouldn't solve its underlying problems. The Brookings study, which examines the correlation between corruption indicators and fiscal deficits across 40 developed or nearly developed economies, highlights how corruption has hurt public finances in parts of Europe, especially in Greece and Italy, and to a lesser extent in Spain and Portugal. Greece's budget deficit averaged around 6.5% of GDP over the past five years, including a 13% shortfall last year. If Greece's public sector were as clean and transparent as Sweden's or the Netherlands', the country might have posted budget surpluses over the past decade, the study implies. "If Greece had better control of corruption—not to Swedish standards, but even at Spain's level—it would have had a smaller budget deficit by 4% of gross domestic product," on average over the past five years, says Daniel Kaufmann, senior fellow at Brookings and the study's author. Greece places last in the 16-nation euro zone in a ranking by World Bank researchers of how well countries control corruption, and last in the 27-nation European Union, tied with Bulgaria and Romania, in corruption-watchdog group Transparency International's survey of countries' perceived graft. Last year, 13.5% of Greek households paid a bribe, €1,355 on average, according to a Transparency survey published last month. Ordinary citizens hand out cash-filled envelopes to get driver's licenses, doctor's appointments and building permits, or to reduce their tax bills, according to the organization's Greek chapter. In the past three years alone, senior politicians have resigned or been investigated over allegations that include taking bribes for awarding contracts, employing illegal workers and selling overpriced bonds to public pension funds. In 2008 senior government officials were accused of helping a politically connected Greek Orthodox monastery claim ownership of a lake, then swap it for a large portfolio of public land at valuations that favored the monks, but lost over €100 million for taxpayers, according to investigators. The scandal contributed to Greek conservatives' election defeat last fall. Corruption undermines public finances in myriad ways. Cheating the government, especially on taxes, is widespread. Government-procurement bribery and political patronage bloat government spending. And pervasive petty bribery erodes the state's authority over taxpayers. "The core of the problem is that we don't have a culture of civic society," says Stavros Katsios, a professor at Greece's Ionian University who specializes in economic crime. "In Greece, complying with the rules is a matter of dishonor. They call you stupid if you follow the rules." Mr. Papandreou's measures to fight graft include centralizing data on tax collection, speeding up investigations, curtailing public-sector hiring, simplifying the bureaucracy and publishing all spending-related decisions online. Political analysts say the steps are sensible, but don't go far enough. Some warn that public-sector pay cuts could even lead to more bribe-taking. Mr. Papandreou has railed against corruption in the state health sector, where demands for bribes have put operations out of reach for some Greeks. Stents for heart operations, for example, cost up to five times as much in Greece as in Germany, Mr. Papandreou says, blaming kickbacks that grease procurement in hospitals. Cases of corruption in public procurement are rarely resolved, thanks to a slow-moving justice system that deters people who have paid bribes from becoming witnesses. Politicians have escaped corruption charges because probes often are held up in parliament until a statute of limitations expires. In 2007, the government was found to have sold billions of euros in overpriced, complex securities to public pension funds, resulting in large losses at the funds. Shortfalls have to be covered by the government, worsening the budget deficit. Following a public outcry, a state commission on money laundering probed some of the transactions, concluding that there were "clear indications" of bribery, tax evasion and other wrongdoing by Greek officials. The public prosecutors' office, however, dismissed the findings because the report was signed only by the head of the money-laundering commission, not by every member. The head of the commission was ousted. Some bribery cases have come to light because foreign companies' dealings in Greece were investigated abroad. A U.K. court on Wednesday jailed a former executive of medical-goods supplier DePuy International Ltd., a unit of Johnson & Johnson, for channeling £4.5 million ($7 million) in bribes to Greek surgeons. The bribes helped DePuy win contracts to supply orthopedic goods at prices that were roughly twice the European average, according to the U.K.'s Serious Fraud Office, which noted that Greek taxpayers were the victims. DePuy says it has cooperated with the authorities and that the payments violated company policies. Investigators elsewhere in Europe discovered in 2006 that German engineering giant Siemens AG was funneling money to Greek officials, triggering a world-wide Siemens scandal. German court records indicate Siemens bribed politicians from both of Greece's major parties, but none have have been prosecuted in Greece. Siemens has admitted that it ran slush funds in dozens of countries. In Greece, as in other countries, corruption hurts the public finances in many ways, say Brookings's Mr. Kaufmann and other analysts. A rotten system of tax inspections, helped by an opaque tax code, allows individuals and companies to bribe inspectors and evade taxes. Massive overstaffing in public administration, the result of decades of both major political parties creating unnecessary posts for their supporters, saddles the state with a high wage bill. Nontransparent public-contracting practices allow bribery and favoritism to flourish, leading to inflated costs. Poor accounting at public entities hides malfeasance, as well as the true state of national finances. The public perception that everyone's on the take has left many Greeks believing that it's morally acceptable to defraud the public coffers. Mr. Papandreou said last month that many Greeks ask themselves: "If politicians are corrupt, if there is corruption, why should I pay my taxes? I don't know where my money is going." Take a look at the premium in percentage points that selected euro-zone governments must pay on their 10-year bonds. One-quarter of all taxes owed in Greece aren't paid, says Friedrich Schneider, an economist at Austria's Linz University who studies tax evasion around the world. He estimates that around one-third of that is due to bribery. "You split your tax payment with the tax inspectors, and you get a discount," he says. A senior government official says some tax offices operate a "4-4-2 system," a reference to soccer tactics. If an individual or company owes €10,000 in taxes, they slip €4,000 to the inspector, keep €4,000, and pay €2,000 to the state. That helps explain why, in a developed country of 11 million people, only around 15,000 individuals declare an annual income of over €100,000, according to Greece's finance minister. Tax collection frequently declines sharply in the run-up to elections, partly because politicians try to curry favor with voters by relaxing enforcement, according to a study by two Greek economists. The increase in last year's projected budget deficit from 6% before October's elections to around 13% a few weeks later can be explained in part by falling tax revenues in the preceding months, says Nikos Christodoulakis, one of the study's authors, who was Greece's finance minister early last decade. The cost of patronage in the public sector, which many politicians say is pervasive, is harder to quantify. "If you can employ any of your voters in the public service, you'll do that," said Mr. Papandreou in a recent interview, describing the political culture he's trying to change. Under Greece's electoral system, voters in each district choose multiple deputies, so candidates compete against party colleagues as well as the opposition. "Instead of running on their party's policies, they give promises as to what they will do for their voters: 'When I'm in government, I will make sure your daughter gets hired somewhere,'" says Stefanos Manos, a former finance minister. Hiring to public-administration jobs surged last year as the right-leaning government struggled to restore its popularity in the face of scandals and economic slowdown. In the month before the fall election, the government added 27,000 people to the public payroll. Many had no position to fill, and not even an office to go to, according to finance ministry officials. Cutting the civil-service rolls will be difficult. Under Greece's constitution, permanent government staffers enjoy guaranteed jobs for life. "At the moment there is nobody who can tell you how many people work for the Greek public sector," says Diomidis Spinellis, a university professor who joined the government in October, and who is trying to gather that information. Daniel Kaufmann, senior fellow on the global economy at the Brookings Institution, blogs about corruption and its costs at the Kaufmann Governance Post. "Control of corruption" data are part of the Worldwide Governance Indicators produced by World Bank and Brookings researchers. The school system is notoriously bloated. For years, the education ministry hired new teachers even if they weren't needed, says John Panaretos, a cabinet minister tasked with making the government more transparent. Greece's 180,000 teachers give it one of the world's best teacher-student ratios. But numbers can be deceptive, Mr. Panaretos says, noting that about 20,000 teachers are in administration because there are no classrooms for them. Elsewhere, schools are overstaffed. One small school on a tiny island was found to have 15 physical-education teachers, while another had more teachers than students, Mr. Panaretos says. Government officials say the health-care system is a hotbed of corrupt procurement. Many hospitals don't use proper accounting, making it hard to supervise purchases, they say. Partly as a result, public hospitals ran up billions of euros in suppliers' bills they couldn't pay in recent years. 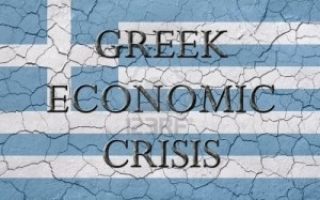 The previous government understated those liabilities by more than €5 billion when it gave European authorities an overly optimistic budget forecast last fall, according to the new government, contributing to the massive revision of Greece's deficit after October's election. Greeks who choose to fight back against corruption can find the going rough. George Theodoridis's family business imports fresh fish from Turkey. He had to pay bribes for years to a government veterinarian, who threatened to deem the fish unfit for import. When the Theodoridis family wanted to start importing oysters, the vet upped her price, demanding €30,000 for the permit and €2,000 per delivery. "She also told us to buy from specific Turkish companies," Mr. Theodoridis says. The fish trader complained to the agriculture ministry early last year. He got no action. In November, Mr. Theodoridis had a stroke of luck. The new deputy agriculture minister, long-time anticorruption activist Michael Karchimakis, took an interest in the case. The vet was fired, convicted and fined. Mr. Theodoridis says his happy outcome is unusual. His wife works at the agriculture ministry and helped get him access to the right people. "Imagine what it is like for people who don't have connections," he says. —Alkman Granitsas contributed to this article.